In Woodsmith No. 1, I read where you mentioned 5/4 pine is l'A" nominal, and later in Woodsmith No. 11, 5/4 cherry is listed as 1 Via" actual. For me this is quite confusing. May I take the liberty to ask why you write 5/4 or 8/4 and then give the exact thickness of the lumber in inches? To really answer your question, I'm afraid I'll have to answer two other questions first: What does the 4U, 5/4, 8/4 designation mean? And how does it relate to the actual thickness of lumber? First of all, the "quarter" terminology stands for the thickness of rough lumber (as it comes from the mill). Traditionally, lumber is referred to by its rough thickness, in 'A" increments. So, a 1"-thick rough board is called 4U (pronounced four-quarter), and a PA"-thick board is called 5/4 (pronounced five-quarter). However, this designation is not the actual thickness of the lumber as it's sold on the retail market. Most lumber is surfaced at individual lumber yards. After the lumber is surfaced, it still retains the same "quarter" terminology, even though the actual (nominal) thick ness has changed. And this is where a lot of the confusion begins. In order to assure the customer that he's actually comparing "apples to apples" from one yard to another, the lumber industry has established certain standards with concern to the thick ness of surfaced lumber, individual lumber yards are supposed to follow these standards. Usually they do, but sometimes they don't. material (such as 2x4's) all have different sets of standards for surfaced thickness. And sure enough, some of (he thickness terminology used far one standard is also used for another standard, even though they represent different surfaced thicknesses. 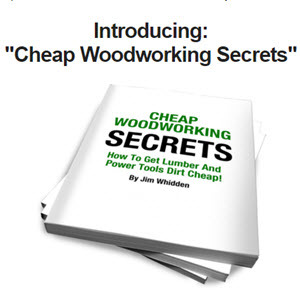 For example, clear pine has one standard (8H lumber is surfaced to I'-Vus"), hardwoods have another standard (814 lumber is surfaced to 1JA"), and construction grade materials (2x4's) have yet another standard (814 lumber is surfaced to l'/s"). This is why the 514 pine in your question has a different actual (or nominal) thickness than 5/4 cherry. When we list the thickness of a board in Woodsmith, we try to include the "quarter" or inch designation along with the actual thickness (the industry standard for surfaced lumber) in inches so you know what you need to buy for the project. The accompanying cha rt lists a few examples of the standard thicknesses for hardwoods.